Shanti & Banti help Wynne put on her sari for Valentine’s Day celebration. We have been in India for a little over a month now and are finally starting to settle in. I do find myself missing the United States every once and while, mostly friends and family. However, at this time of year, what I am really sad about missing is Valentine’s Day – I feel like it gets a lot of bad press for being a Hallmark holiday and can be completely underrated. To me, Valentine’s Day is a time of year to share love with the people in your life who you care about. It’s my absolute favorite holiday, and I know that if I were back home, at this point in the month, I would be covered in pink and red glitter and brimming with enthusiasm. Of course, for this Valentine’s Day that I am away, I will be sure to tell all the people who are important to me how much I love them – but what I really want to do is share with everyone my new-found love for this beautiful country that I’m so lucky to live in for the next couple of months. 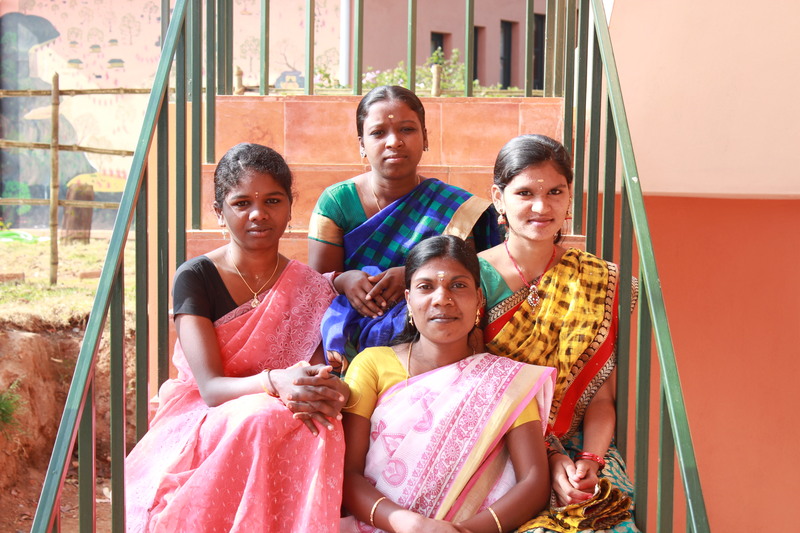 Indurani, Banti, Shanti, & Thulasi ready for the Valentine’s Day celebration. First off, to clarify, it’s not all rainbows and there are challenging days. Like laundry days (we don’t have washing machines here, so handwashing is a thing – see Meg’s post from First Batch). Or days after laundry when you collect your drying clothes from outside and realize there’s a spider in your underwear (that was yesterday). Or the days where you feel like you’re literally going to turn into a grain of rice if you see any more of it on your plate (mostly every day). Or the days you get stuck in the middle seat for the three-hour car ride all the way down the mountain to the sweltering plains of Coimbatore (earlier this week). Sometimes the little struggles that come with living in a new place and dealing with a cross-cultural experience can add up, but ultimately what’s tougher than the most difficult day in India is failing to acknowledge the astounding beauty and magic in the life we live at the NFLC. What really strikes me when I consider the contrasts between the NFLC and Cornell is the change I’ve experienced in the pace of life. With more easygoing days, I have found myself taking the time to savor the enjoyment in so many little things. side. It is found in my classmates’ smiles as we share jokes in the broken English-Tamil language we use to communicate. 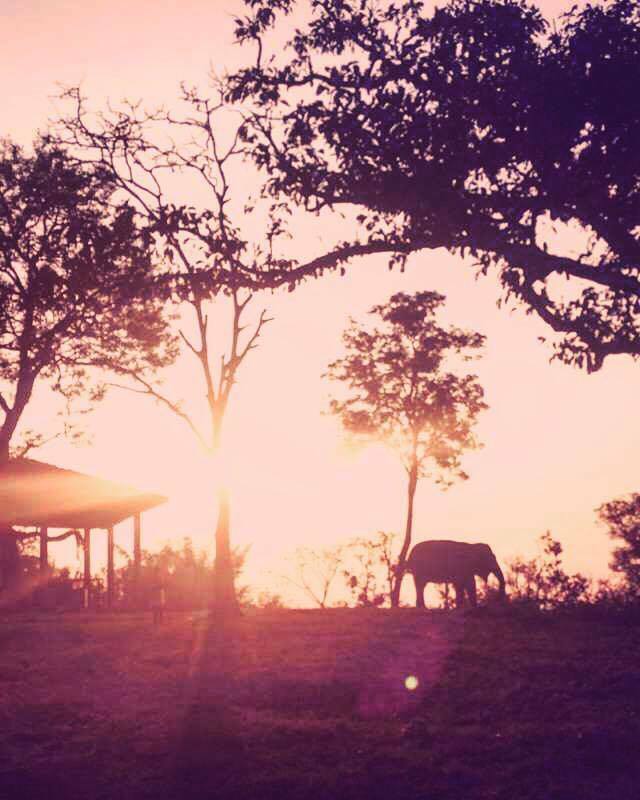 It is found in every twist and turn on the winding scenic route we take on our weekly bus trips, and in knowing that each new turn can bring something even more exciting than the last – like this foraging wild elephant in the jungle right alongside the dusty road. 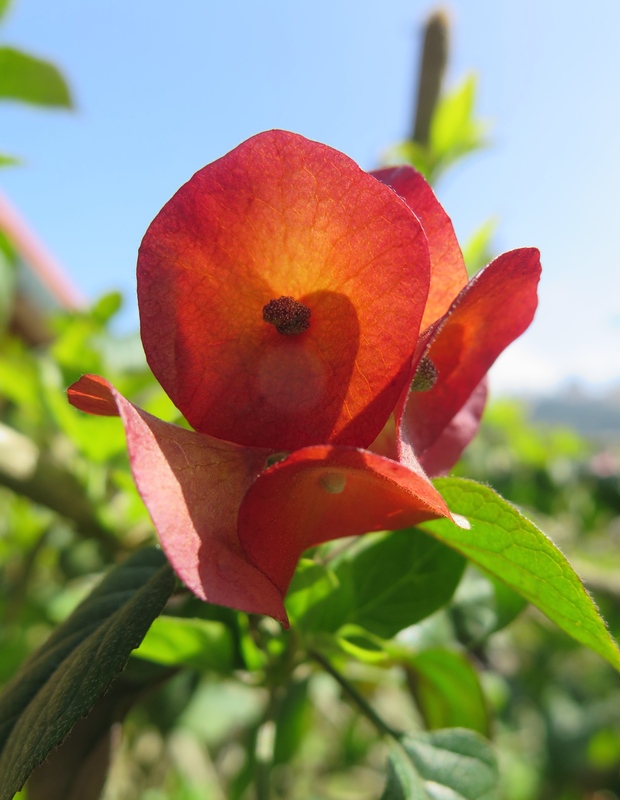 Happiness can be discovered in our classroom, Manda Arae, where each day we circle around and hear our many teachers speak with reverence about the intricacies of governance or ecology or indigenous culture in the Nilgiris. Even on the long nights when I am overcome with old anxiety and sleep is out of reach, the enchanting beauty of the scarlet sunrise peeking through the mountaintops pulls me out of bed with a smile on my face. There is so much beauty to hold on to in this landscape and with these remarkable people. To celebrate Valentine’s Day this year, Pratim and Sneh, two of the Keystone founders as well as our teachers, graciously opened up their home to us for a festive and fancy dinner party. Beforehand Rachel, Jackie, Wynne, and I all gathered in the Keystone girls’ room where they proceeded to work magic and wrap us up in magnificent saris. I felt like Cinderella as the girls dashed around and made a simple piece of fabric into something so regal, bringing out elaborate jewelry and bindis to perfectly match. Of course, after we got all dressed up the proceedings were a bit prom-like, as we took a zillion pictures and struggled to walk down the road to the house in our layers of sari. Once there, all the students gathered to exchange gifts in “Secret Cupid,” an idea Wynne thought up to share the love on this special day. 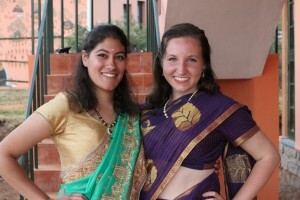 Jackie & Rachel pose in their saris. Afterwards, we ate a delicious meal of tandoori chicken, chutney, stew, and poori, and were then urged by our teachers onto the makeshift dance floor in the living room. When I got a break from struggling to dance to Micheal Jackson’s Thriller in a sari, I took a step back and looked around the room at these incredible, vivacious people that make up the NFLC family. I was struck by how much love and gratitude I already hold for all of them in my heart. Although I may not have gotten my glitter, Ghirardelli chocolates, or roses this year, I certainly had a Valentine’s Day to remember.